This is quite a long post but will be worth the time. Letter to the Local Council, Councillors, MPs. and Police. Please take note of words in bold italics. 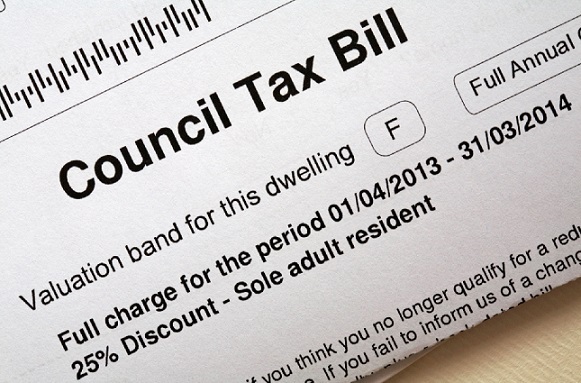 1 Council tax in respect of dwellings. (1) As regards the financial year beginning in 1993 and subsequent financial years, each billing authority shall, in accordance with this Part, levy and collect a tax, to be called council tax, which shall be payable in respect of dwellings situated in its area. (3) For the purposes of this Part the Secretary of State may make regulations containing rules for treating a dwelling as situated in a billing authority’s area if part only of the dwelling falls within the area. (1) This section has effect for determining what is a dwelling for the purposes of this Part. If we now look at the interpretation of the word hereditament in the General Rate Act 1967 (GRA 1967). (b) would still be such a hereditament if paragraphs (b) to (d) of section 66(1) of that Act (domestic property) were omitted, is also, subject to subsection (6) below, a dwelling for the purposes of this Part. (6) The Secretary of State may by order amend any definition of dwelling which is for the time being effective for the purposes of this Part. As of today July 2013 this section of the LGFA1992 has not been amended. (1) A hereditament is anything which, by virtue of the definition of hereditament in section 115(1) of the 1967 Act, would have been a hereditament for the purposes of that Act had this Act not been passed. (b) where the land is not occupied for any other purpose, the right is let out or reserved to any person other than the owner of the land. (b) anything which would (apart from the regulations) be more than one hereditament shall be treated as one hereditament. (b) it is a composite hereditament. (9) A hereditament is composite if part only of it consists of domestic property. (10) A hereditament shall be treated as wholly or mainly used for charitable purposes at any time if at the time it is wholly or mainly used for the sale of goods donated to a charity and the proceeds of sale of the goods (after any deduction of expenses) are applied for the purposes of a charity. (11) In subsection (2) above land includes a wall or other part of a building and a sign, hoarding, frame, post or other structure erected or to be erected on land. (1) The owner of a hereditament or land is the person entitled to possession of it. (b) which is intended for use in or on the hereditament. (b) if it is a house, the use of a room in it by a returning officer for the purpose of taking the poll in a parliamentary or local government election. (7) In subsection (6) above returning officer shall be construed in accordance with section 24 or 35 of the M1Representation of the People Act 1983 (as the case may be). (8) A right which is a hereditament by virtue of section 64(2) above shall be treated as occupied by the person for the time being entitled to the right. (d) it is private storage premises used wholly or mainly for the storage of articles of domestic use. (b) which is not self-contained self-catering accommodation provided commercially. (b) on that day his interest in the building or part is such as to enable him to let it for such periods. (b) in any other case, any person having a relevant leasehold interest in the building or self-contained part which is not subject (as a whole) to a single relevant leasehold interest inferior to his interest. [F8(4) Subsection (1) above does not apply in the case of a mooring occupied by a boat, but if in such a case the boat is the sole or main residence of an individual, the mooring and the boat, together with any garden, yard, outhouse or other appurtenance belonging to or enjoyed with them, are domestic property. (5) Property not in use is domestic if it appears that when next in use it will be domestic. (6 ) F9. . . . . . . . . . . . . . . . . . . . . . . . . . . . . . . .
(7) Whether anything is a caravan shall be construed in accordance with Part I of the M1Caravan Sites and Control of Development Act 1960. (8 ) F9. . . . . . . . . . . . . . . . . . . . . . . . . . . . . . . .
(9) The Secretary of State may by order amend, or substitute another definition for, any definition of domestic property for the time being effective for the purposes of this Part. (1) Unless the context otherwise requires, references to lists are to local and central non-domestic rating lists. (2) Unless the context otherwise requires, references to valuation officers are to valuation officers for [F1billing authorities]and the central valuation officer. (3) A right or other property is a hereditament on a particular day if (and only if) it is a hereditament immediately before the day ends. (4) A hereditament is relevant, non-domestic, composite, unoccupied or wholly or partly occupied on a particular day if (and only if) it is relevant, non-domestic, composite, unoccupied or wholly or partly occupied (as the case may be) immediately before the day ends. (5) For the purpose of deciding the extent (if any) to which a hereditament consists of domestic property on a particular day, [F2or is a Crown hereditament on a particular day,] or is exempt from local non-domestic rating on a particular day, the state of affairs existing immediately before the day ends shall be treated as having existed throughout the day. (6) A person is the owner, or in occupation of all or part, of a hereditament on a particular day if (and only if) he is its owner or in such occupation (as the case may be) immediately before the day ends. (7) A relevant provision applies on a particular day if (and only if) it applies immediately before the day ends; and for this purpose relevant provisions are sections 43(6), 45(6) and 47(2) above. (8) For the purpose of deciding what is shown in a list for a particular day the state of the list as it has effect immediately before the day ends shall be treated as having been its state throughout the day; and effect here includes any effect which is retrospective by virtue of an alteration of the list. (9) A hereditament shall be treated as shown in a central non-domestic rating list for a day if on the day it falls within a class of hereditament shown for the day in the list; and for this purpose a hereditament falls within a class on a particular day if (and only if) it falls within the class immediately before the day ends. (b) fall within any description prescribed in relation to him under section 53(1). (10) A charity is an institution or other organisation established for charitable purposes only or any persons administering a trust established for charitable purposes only. (11) The M11967 Act is the General Rate Act 1967. (12) Nothing in a private or local Act passed before this Act shall have the effect that a hereditament is exempt as regards non-domestic rating, or prevent a person being subject to a non-domestic rate, or prevent a person being designated or a description of hereditament being prescribed under section 53 above. (13) This section and sections 64 to 66 above apply for the purposes of this Part. If we are not mistaken it would appear that the only property liable to Council Tax is a Dwelling and a Dwelling is not Domestic Property, a Dwelling, it would appear is a hereditament. The above are not my opinions they are the LAW as it is interpreted by Parliamentarians, Judges, the Courts and all agents of the Government including Bolton Council. In consideration of the above facts we the inhabitants of the Borough expect you the elected representatives to give this matter your full and undivided attention. In ascertaining whether inhabitants of the Borough residing in domestic properties should be forced to contribute towards the council’s coffers. Forced by way of a tax on the inhabitants of the Borough who are not obliged by law to contribute. If we are not mistaken forcing inhabitants to pay for this insidious TAX is, dare we say it, SLAVERY. For councils to have taken by force from ignorant, yes IGNORANT, people for 20 years without once letting up on the pressure to pay. To strip people of their property, to drive them from their homes, to steal unpaid money from wages and benefits and to send non-payers to prison for failing to pay is, lets be honest, just EVIL. Many of these victims could not pay, not would not pay. So Mr. MP., Mr. Councillor, Mr. Judge, Mr. Policeman where do we go from here, do you do your job or do we do it for you? All of the above can and should be checked.